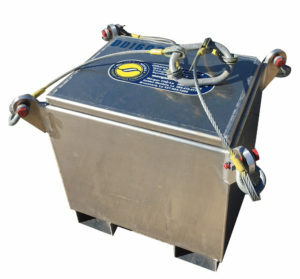 Tare Weight - 1,500 lbs. 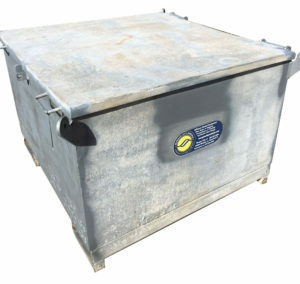 Galvanized tool boxes are equipped with certified wire rope slings for lifting and lowering onto deck. MAX rated Load Capacity = 600 lbs. MAX Gross Weight = 1215 lbs. Platform Empty Weight = 750 lbs. Trial Load/Proof Test Weight = 750 lbs.